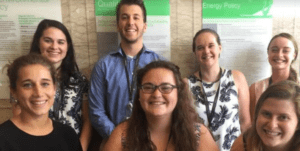 My first day as an intern with Schneider Electric in Foxboro, Massachusetts, consisted of a whirlwind of faces, names, and expectations for what my internship would look like in the coming weeks. Though I started off the day by arriving at the wrong building entrance, my day only went up from there. 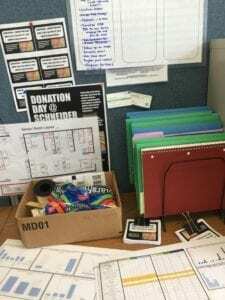 Within the first few hours I met my direct manager, my project manager, and my desk space. I was then taken on a tour of the facility. With a fancy coffee machine and a laptop to break in, I began my workday in earnest. I was officially hired as a Manufacturing Intern under Don Guilmain, working with Anthony Chaussie and Courtney Slater in Pressure for my first-time study project. As an intern, I picked up various jobs during my stay however. I went on to perform time studies focusing on cost and process improvements in another department, assisted with plant-wide improvement projects, generate analysis charts using my collected time study data, among other activities. Chloe Gessner, a fellow worker whose involved in the advanced development program in Manufacturing at my plant, brought me into a few projects. She heard I was looking to take on some more work one day and introduced me to Victoria Conefrey. Vickie needed me to do a layout project utilizing DraftSight, a 2-D drawing program like AutoCAD. Since first being introduced to Vickie, I’ve done quite a bit of work for her area. I’ve compiled two layout additions to the original map of her area as well as created two work breakdown sheets and operator work sheets. Overall, I’ve had a huge learning curve working with Vickie and Chloe. While Vickie might say she has high standards and apologized if I felt my work needed a lot of rework, I never felt like she didn’t appreciate the effort I was putting forth. In fact, I enjoyed the challenge of coming up with solutions and work that she approved of and it was a refreshing feeling to see my hard work implemented within the plant for others to later utilize. While I worked on many more memorable projects this summer, I know that reading someone’s autobiography isn’t the most thrilling. What often matters when looking at a company, especially for myself, is learning about the people and the ambiance of the workplace. While I only have my plant location in Foxboro to speak of, I believe my plant follows a Schneider standard that I’d see at many other locations. Everyone is friendly and interested in finding out what I can do as an intern and what passions I have for my future career. I get no less than ten morning well-wishes at the morning short interval meetings. It’s amazing to see everyone is smiling, no matter the time of the day. With the younger staff at our location, I’ve gotten to develop friendships through brainstorming sessions to come up with project solutions and some out-of-work experiences; getting dinner after work, going to catch a movie together, or going to the beach together were just a few examples of times we’ve spent together outside of the plant. During my time with Schneider Electric, I was also selected to serve as the Intern Ambassador for the Neponset Foxboro plant. With my team of six other interns, we had planned for two official events during our time together. 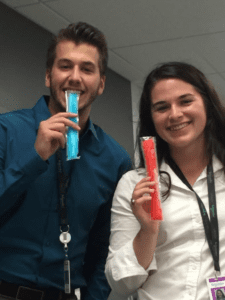 For the first event, hosted on July 24th, our interns decided on holding a Donation Day collected canned goods and long-shelf life food items for a local food pantry. We also wanted to host a networking event, focused on leadership styles and how to better incorporate our education into a professional environment, along with having lunch available for everyone. Being able to demonstrate my leadership skills with my peers was very fun and having their input on problems helped me become a better leader during my time at the plant. Working for Schneider has been a terrific choice for me. I’ve learned a massive amount from my coworkers, and the experience has affirmed for me that my undergraduate degree choice was the right one for me. In the future, I have plans to pursue a graduate degree in engineering management and return to Schneider in a position where I can further connect my education to my experiences in a professional environment. One of the most important pieces of advice I can offer to someone looking for an internship or job is to find a company where they can grow their career. Schneider Electric is a competitive company covering multiple ever-growing fields. 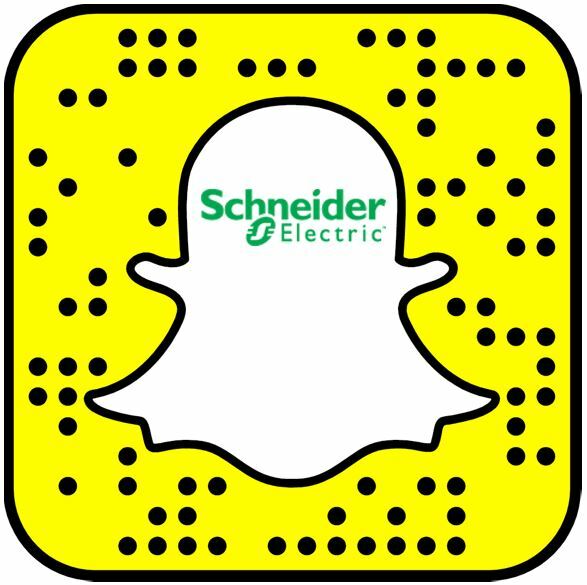 The company’s model, brand, and future goals are very inspiring and I hope you heavily consider Schneider Electric for your future career. Emma Trappe is a Manufacturing Engineering Intern working in Foxboro, MA. 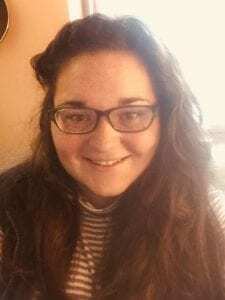 She will be receiving her undergraduate degree in Industrial Engineering Technology in May of 2019 and beginning her graduate degree in Engineering Management in the Fall of 2019. Emma enjoys cooking meals with friends, is an avid reader, and likes to spend her spare time being outdoors if possible.